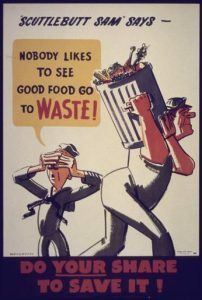 A startup company, Spoiler Alert, offers a way to substantially reduce food waste in America. Their strategy includes a tracking tool for grocers, food distributors and manufacturers to record and monitor food recovery and waste diversion. Then, an online portal assists in enabling food donations, discounted sales, and the redistribution of organic byproducts. Free resources available from the Spoiler Alert website include an ebook about using data to reduce food loss and waste, an infographic illustrating avalable tax deductions for food donations, and a checklist for making food donations. Some of the materials offered by this Boston-based startup are specific to New England, but most would bring benefit nationwide.